What are crows saying when their loud cawing fills a dark winter’s evening? Despite the inescapable ruckus, nobody knows for sure. 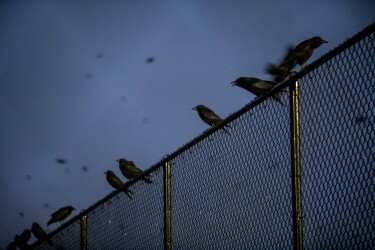 Birds congregate daily before and after sleep, and they make some noise, but what might be happening in those brains is a mystery. Curious about these raucous exchanges, researchers at the University of Washington Bothell are listening in. They are placing equipment on the roof of their building — a meeting place for some of the thousands of crows that sleep in nearby campus trees — and using a sort of computerized eavesdropping to study the relationship between calls and the birds’ behavior. Abadi’s background is in ocean acoustics; some of her previous research tracks whales using underwater microphones in the ocean. 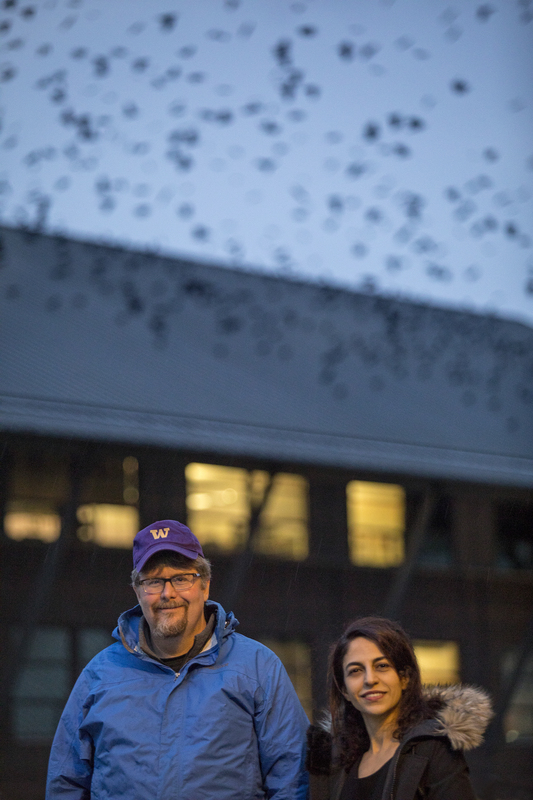 For this project she teamed up with a colleague in biology who studies the local crow population with his undergraduate students. 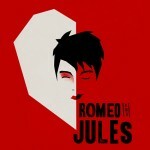 “They’re incredibly raucous, and make this cacophony every night, and people wonder: What are they saying? 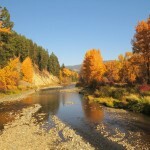 And that’s a great question to ask on this campus,” said Douglas Wacker, an assistant professor of biology at UW Bothell. Wacker earned his UW doctorate studying song sparrows. 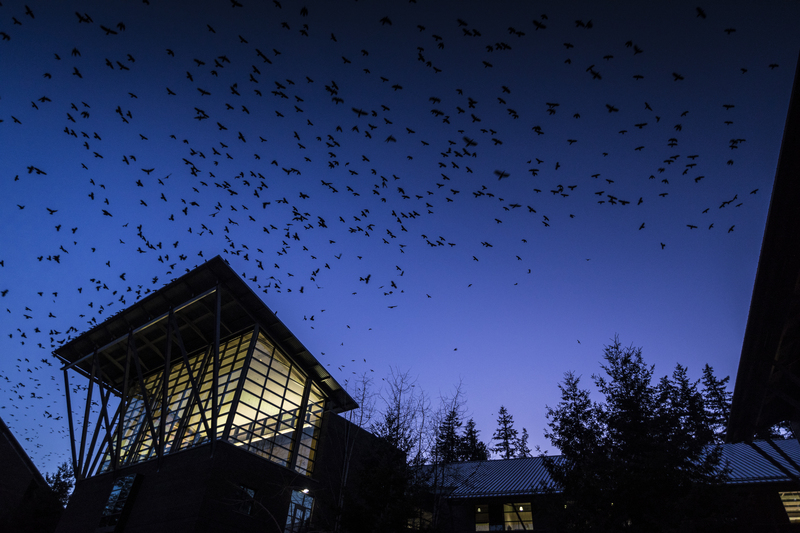 After joining UW Bothell in 2012, it was only natural that he study the roughly 15,000 crows that migrate to the North Creek Wetlands on campus each evening in fall, winter and spring. 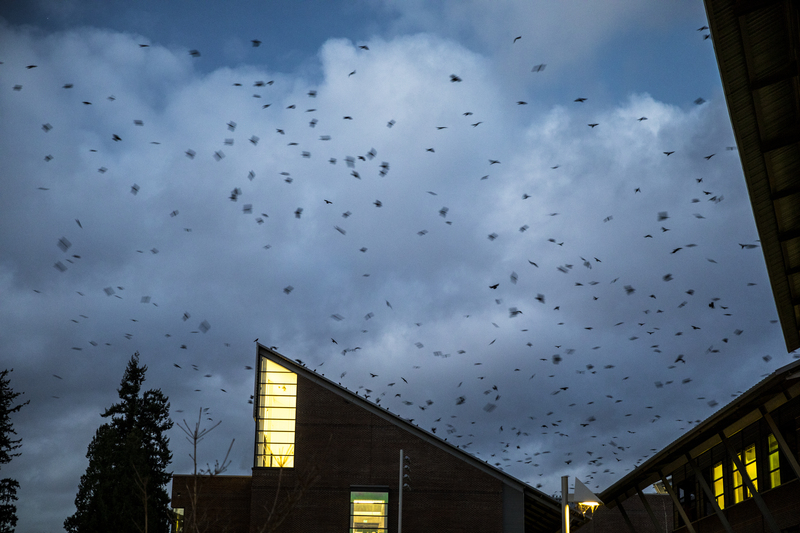 People walking through campus can’t fail to hear the not-always-melodious sound of the birds. He and Abadi have nearby offices. They decided last year to collaborate on an interdisciplinary project that blends his biology background with her acoustics expertise. While the field site on the roof of the faculty members’ building is convenient, this project poses technical challenges. These crows call in a noisy environment, where it is tricky to separate their vocalizations from different birds and other surrounding sounds. What’s more, crows are intelligent. They will change their behavior if they think humans are watching, or even if unfamiliar equipment is nearby. That’s why the high-tech approach, worthy of an avian CSI, is needed. The team of mostly undergraduate students has been perfecting its audio recording technique. They placed four audio recorders in a 10-foot square in a parking lot, and then placed a speaker playing a crow call in one of the quadrants. The recorders have precise time stamps to calculate when the sound waves arrive, and then software compares the times to pinpoint where the sound was generated. The students figured out a way to focus on the highest-quality audio to triple the accuracy of the source locations. They can now use the recordings to locate the source of the call to within 6-12 inches, or about the size of a bird. About 50 to 100 crows might assemble in the pre-roost gathering at dusk on the roof of the science building. Their incessant cawing during flight quietens to just the occasional outburst while on the roof. With Abadi’s help, the team is working to develop a user interface and computer techniques that pick out particular calls, so they do not have to manually pick through hours of cawing but can focus on the most interesting events. Derek Flett, a senior undergraduate student in mechanical engineering, will describe the team’s efforts Dec. 5 at the Acoustical Society of America’s annual meeting in New Orleans. 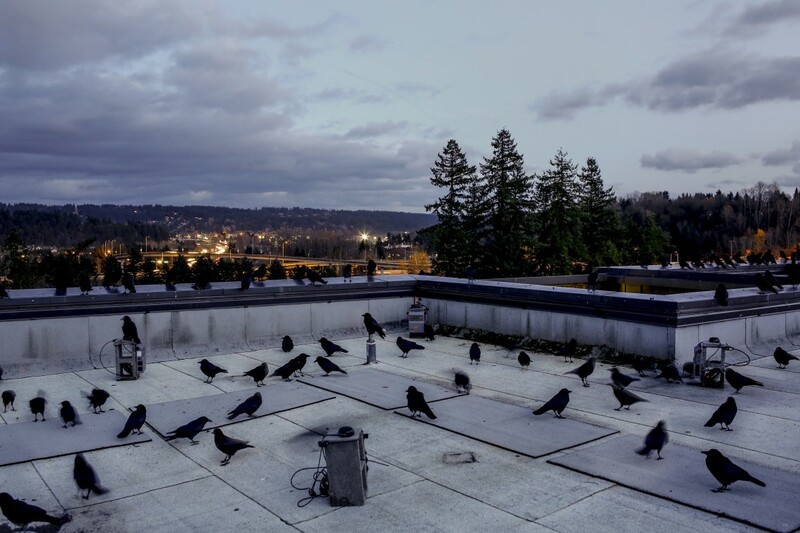 This winter the researchers plan to use the equipment in the wild — that is, on the roof — to monitor real groups of crows. Eventually they hope to combine the audio surveillance with video, so they could study how birds might react to particular sounds. They have also begun to test their theories by playing particular calls and then seeing whether the crows react in the predicted manner. The idea that the calls contain meaning is plausible, Wacker said. The number of caws, or the length of the pauses between caws, could say something about food sources or possible dangers. 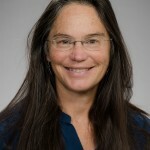 “If a bee can do a dance to tell other bees where food is located, then certainly a highly intelligent bird — in a family with other bird species that are capable of insight learning, recognizing themselves in a mirror, recognizing faces and passing that information on to subsequent generations — could be capable of communicating complex information,” Wacker said. The other co-author on the work being presented in December is Virdie Guy, an undergraduate in mechanical engineering. The research is funded by a UW Royalty Research Fund. For more information, contact Wacker at dwacker@uw.edu and 425-352-3723 or Abadi at abadi@uw.edu or 425-352-3835. More photos are available for download here.